!! Looking for Boys competitive players !! 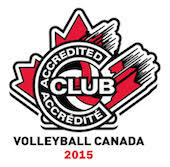 If you fit the description on the home page and would like to know more please contact Kerry@maverickvolleyball.ca. We are in need of 2 or 3 in both ages to complete our competitive rosters.